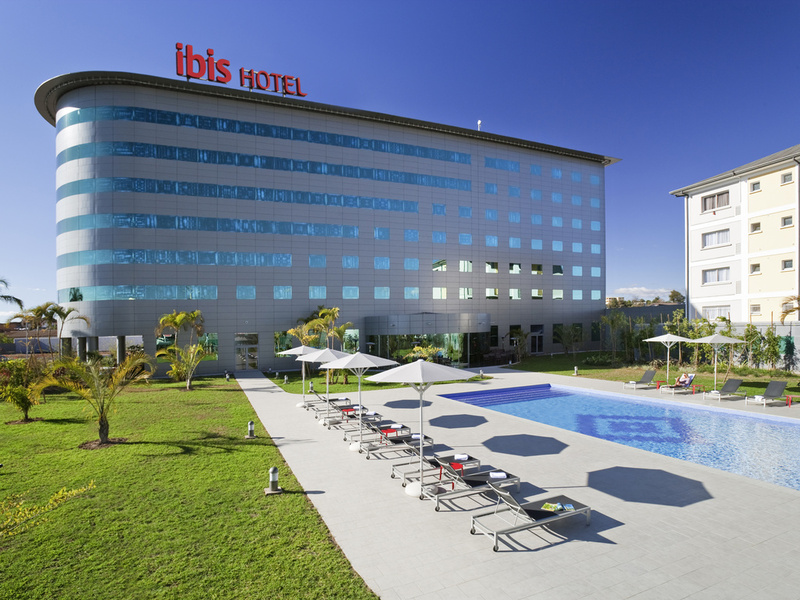 30 minutes from Ivato International Airport, the ibis Antananarivo hotel is located in the heart of the Ankorodrano business district, close to the Ivandry residential area and the embassies, and 10 minutes from the famous Avenue de l'Indépendance. 174 fu lly air-conditioned rooms, including 12 superior rooms and 24 interconnecting rooms. Bar and restaurant seating 130 with terrace overlooking the heated swimming pool. Two modular 323 sq. ft. (30 m²) meeting rooms. Secure outdoor car park. Inviting, modern and cozy, with a comfortable bed and a functional bathroom. The ibis room has got everything you need for a pleasant stay. The restaurant that is always in season.The fresh, colorful array will set your taste buds tingling. Choose from the salad bar and balanced meals with seasonal flavors. Our bar is a friendly meeting place where you can relax whenever you wish.